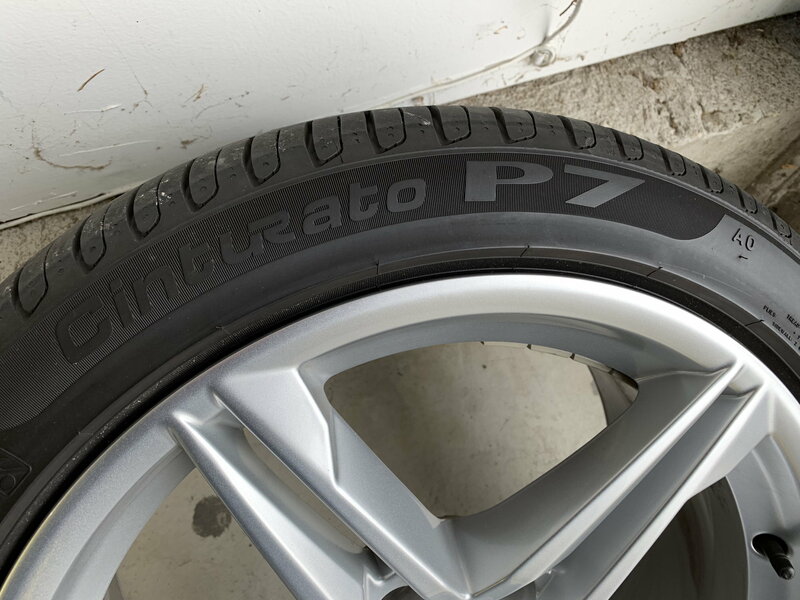 I'm trying to figure out if the stock 18" all-season (245/40R18) tires that come with the 2018 A5 Sportback(S-Line package) are Pirelli Cinturato P7 All-Seasons or Pirelli Cinturato P7 All-Season Plus. Can someone please help me identify this correctly? The member is located in Florida — if that made a difference in what tire Audi installed I have no idea — but that is the sidewall (and it also shows the “AO” for Audi Original). I hope this helps. My tires are not plus either. They do have the AO designation also. Car was built in early 17. I bought it CPO this past October with 10,500 miles so tires may not be original. These are the same tires that came with my 2018 S5 in NJ. Thanks, this really helps! I have the same set of tires. Give the best tire for a stock S4. I am running with the Horrible Pirellis that came with my car. [email protected] are the Pirellis PZero M&S in stock today at LV? Quick Reply: What are the stock Pirellis on the A5 Sportback?